During the Spring of 2016, Shiksha New York will be offering 12 classes as described in this section. We encourage students to register for as many classes as they want. Semester begins on Saturday April 2nd 2016. Register today. Click on buttons below to register or view handbook (coming soon). My journey of music started with the blessings of Devi Saraswati Ma. At the age of 8, I started to learn classical music from my father, Ustaad Rodhan Sookraj. 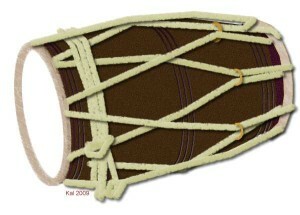 As time went on, I started to play dholak for many satsangs and religious events. I was very fortunate to have been in company of Shri Hari Om Sharan Ji, and to have learned from him. I played both tabla and dholak for him. I am an all-rounder musician – I play harmonium, tabla, dholak, and percussions. I have accompanied such world renowned artists as Ustaad Anup Jalota and Mehidi Hassan. It is my honor to render my humble services to the Radha Govind Dham Mandir and I hope to provide upliftment to each student who comes to my classes. most importantly, fun! Please reach out to me with any additional questions. collected over 19 years, allows her to teach effectively and effi ciently. Please reach out to me with any additional questions. Rohit Sharma has a Bachelors Degree in Mechanical Engineering from the prestigious R.V. College of Engineering in Bangalore. He has fifteen years of experience in the U.S. tutoring Math and Science students from elementary school through high school. Teacher: Madhulika Misra. Fee: $80/semester. Students will learn to enact leelas (Divine acts) of Bhagwan in the form of a play. Based on student enrolement, a script will be developed and each student will be assigned a role. special needs children as well as being a substitute teacher at Maria Montessori School in Levittown. She has two daughters aged 9 and 13, and enjoys teaching children and imparting her knowledge of Hindu religion and culture. 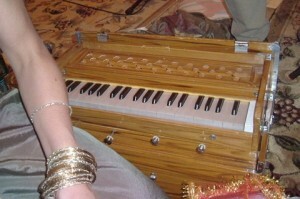 sur (tunefulness) and taal (rhythm); development of ability to present a brief classical music composition and ability to appreciate and relate to Raag music. No specifi c knowledge or skill level of vocal/instrumental music is necessary. her vocals have been used in the making of documentary fi lms. She regularly performs and collaborates with touring artists. Teacher: Anuradha Khanna. Fee: $120/semester. Ages 5 and up plus adults. In this course, students will learn how to “set their hand”, and how to play basic taals, kaida, paran, peshkar, tukre and tihai. 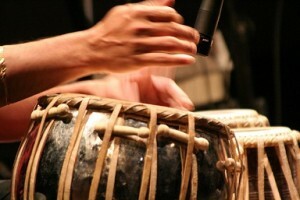 This is the foundation of playing tabla, which must be mastered before moving on to higher studies. Teachers: Rohit Sharma & Jasvinder Gulati. Fee: $80/semester Ages 5 & up. 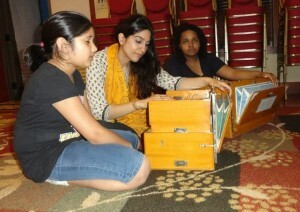 Students will learn a modifi ed version of Keharwa taal which is used to accompany most bhajans and kirtan in satang. Two variations of the taal will be introduced: one in slow rhythm and one in fast rhythm, along with their accompanying tukras. 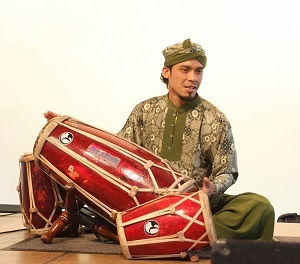 Cymbals (manjheera) play an important role as accompanying instruments. Students will learn how to accompany both the fast rhythm Keharwa taal and slow rhythm Keharwa taal with cymbals. to gain the practical experience of a real time performance. Second language and foreign language learning strategies will be applied to teach Hindi to students aged six and up. Scaffolding to promote language learning such as manipulatives and visuals will be used extensively. Multiple intelligences approach incorporating role-play, learning by doing, drawing and coloring will be applied to address needs and learning styles of all the learners as far as possible. All the four modalities of the language – listening, speaking, reading and writing – will be introduced to the students in phases. Initially, the pupils will be introduced to the letters of alphabet, some salient features of the language being learned and what way the language differs from English. 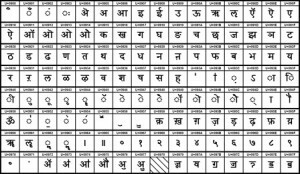 As the students start acquiring the language, they will be gradually weaned away from English, as the teacher will increasingly use Hindi and encourage them to respond in the language being learned. language to native and non-native speakers of the language. As an honorary teacher, he has taught Hindi and Gujarati at a number of Indian cultural organizations. He has earned three masters degrees – an M.A. 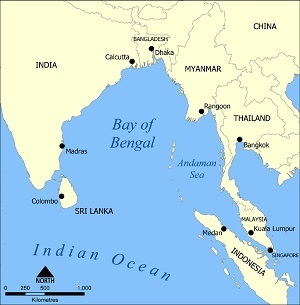 in English/linguistics from India and an M.S. in journalism from Iowa State University (ISU) and an M.S.Ed from a New York college in ESL. 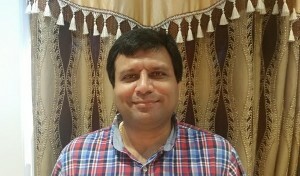 A winner of one gold and two silver medals from Bharatiya Vidya Bhavan, Mumbai, and a graduate scholarship from ISU, Avinash was a professional journalist for over 12 years with prestigious international news agencies and newspapers in India and America. 1) The importance of doing seva (selfless service) to God & Mandir. 2) They will develop leadership qualities necessary to manage different departments of the Mandir. This way they can develop skills and character for their professional life in the future, all while doing priceless seva to the Mandir in a fun and devotional way. 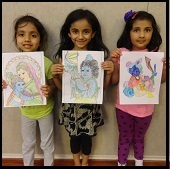 Students will receive credit for volunteer work done at mandir to show their school and colleges. Rohit Sharma manages many areas of Radha Govind Dham, and looks forward to sharing his knowledge with the students and inspiring them to develop their personal skills while performing seva to the Mandir. Teachers: Rohit Sharma. Fee: $80/semester. Ages 5 & up. Learn tunes and how to sing on Harmonium, Kirtans along with it’s tunes revealed by Jagadguru Shree Kripaluji Maharaj ji and sing in satsang. Rohit Sharma has been associated with Jagadguru Shree Kripaluji Maharaj for over 10 years and teaches the tunes he learnt in satsang in a very simple and easy manner which even a beginner with no musical background can understand. Teacher: Anil Kumar. Fee: $120/semester. Ages 6 & up. Diploma for Kathak classical dance, 5 year program (1977-1982).Government College of Music and Dance of India (Bhartya Kala Vishva Vidhyalaya)(1983-1986) Concentration: Bharta Natyam classical dance. 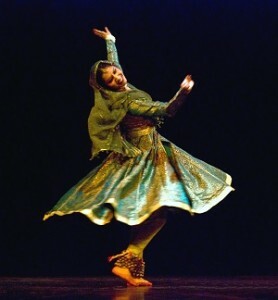 Kuchipudi Fine Arts Academy (1983-1986) in Madras and Hyderabad Concentration: Kuchipudi classical dance. University of Hyderabad (1989). Two semesters in Master’s program. Festival (1989), World Telugu Conference (1990), Republic Day of India at Delhi: 1986, 1988, 1990, 1992, 1995.